AMMONNEWS - As an apparent goodwill gesture, Israel has offered one of its self-prized Merkava tanks as a present to a Jordanian museum. The tank was transferred to Jordan in recent weeks aboard a flatbed truck, The Jerusalem Post reported on Thursday. It will be put on show at the Royal Tank Museum. Israeli Prime Minister Benjamin Netanyahu and Minister of Military Affairs Avigdor Lieberman had to sign off on the decision since it meant trusting Amman with a “most top-secret” weapon, it said. The daily hailed the Merkava as one of “the most lethal and protected tanks in the world”. 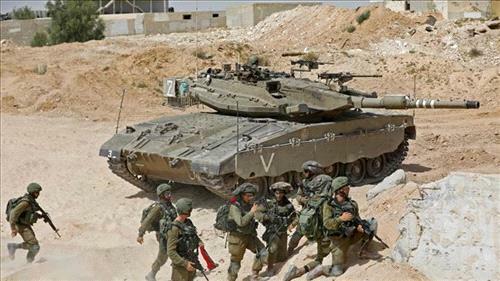 Five of the tanks were, however, destroyed during Israel’s war on Lebanon in 2006 during confrontations with the resistance movement of Hezbollah, which broke the myth of invincibility built around the vehicle. Aside from Egypt, Jordan is one of the only two Arab governments that have open diplomatic ties with Israel. The Israeli embassy in Amman shut down last July after two Jordanians were gunned down by the embassy guard, prompting the return to Israel of the Israeli ambassador along with the guard involved in the shooting. That guard, who claimed that he shot the Jordanians in self-defense, received a hero’s welcome on his return, further enraging the Jordanians. Israel, though, dispatched a new ambassador to Amman in April, and in mid-June, Netanyahu paid an unannounced visit to the Jordanian capital for a meeting with King Abdullah II.